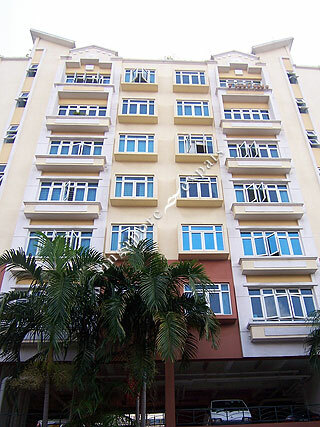 SIMS MEADOWS is located at 8 LORONG 33 GEYLANG in district 14 (Eunos, Geylang, Kembangan) of Singapore. SIMS MEADOWS is a Freehold Condo development consisting of 36 units. SIMS MEADOWS is completed / TOP in 2002 (estimated), developed by FRAGRANCE PROPERTIES. Educational institutions like ETONHOUSE INTERNATIONAL SCHOOL, CANADIAN INTERNATIONAL SCHOOL (TANJONG KATONG), CHATSWORTH INTERNATIONAL SCHOOL (EAST), KONG HWA SCHOOL, GEYLANG METHODIST SCHOOL (PRIMARY) and MACPHERSON PRIMARY SCHOOL are near to SIMS MEADOWS. SIMS MEADOWS is accessible via nearby ALJUNIED, DAKOTA and PAYA LEBAR MRT Stations. Excellent location. Within minutes to CBD and city centre. Amenities and food at doorstep. It is really convenient and it is near to amenities. It is near to MRTs and to the city. What's more, it is also near to Singapore food paradise. It has all the convenience one can think of.